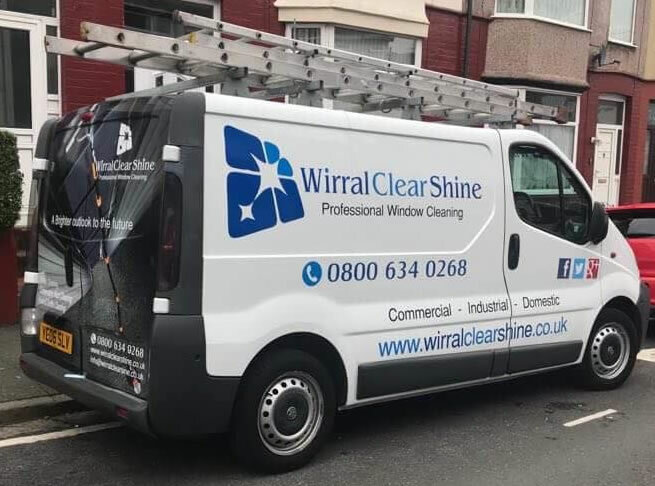 At Wirral Clear Shine we are specialists in our field of window and exterior cleaning, enabling us to clean your windows safely while delivering you, the client, a professional and committed service. Our equipment allows us to reach heights of 65 feet, without the use of ladders or other access equipment, therefore allowing the window cleaning operative to keep their feet on the ground, complying with all aspects of Health & Safety. The windows are washed using a carbon fibre pole that will permanently feed water onto the glass leaving a sparkling smear free window. And best of all the Reach & Wash system is completely chemical free. We are a flexible and reliable exterior cleaning business, offering our services to businesses across a wide reach, including Wirral and Liverpool. Our combination of speed and quality leaves our customers satisfied time after time, just ask any of our clients. Please contact us by phone or email or use the contact form to discuss booking any of our services.